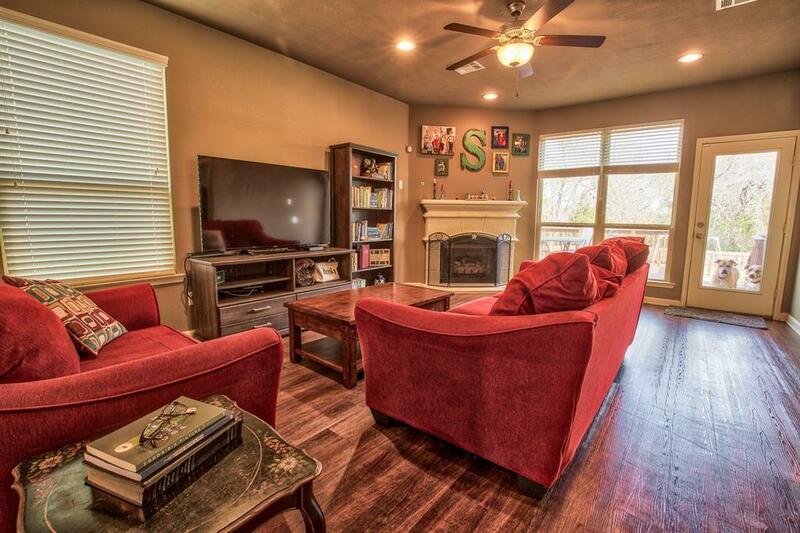 This spacious home in Ralston Creek (the Meadows neighborhood) has all the extras! 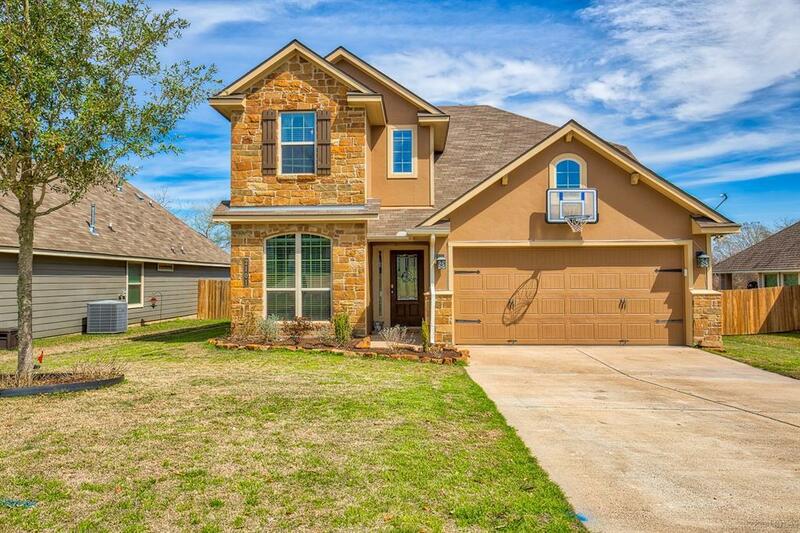 For starters, a large fenced backyard with direct access to the wooded neighborhood walking trails and the creek! 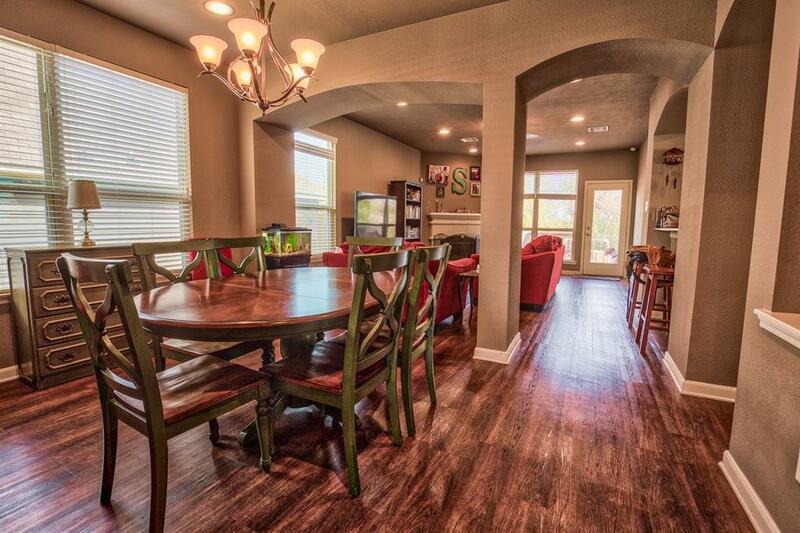 Enjoy meals or morning coffee on the large custom back deck. Enjoy nature, while minutes away from shopping, restaurants, schools & churches.Inside its just as nice. Downstairs you have open dining / living with a gas fireplace & views of the backyard, a sunny kitchen with granite countertops and an oversized walk in pantry. 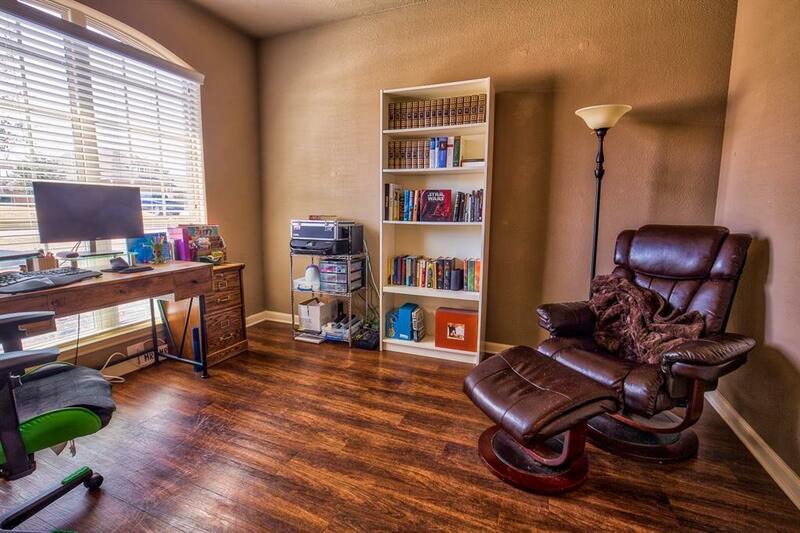 Master suite is downstairs as well as a private office and 1/2 bath. Upstairs you will find a Junior Suite (or can be a second Master or Guest Suite) with an ensuite full bath as well as a full bath for the other two bedrooms & large bonus room (great for family, movie watching or games). Durable wood look vinyl plank flooring throughout (including stairs), except the Master, which has soft neutral carpeting underfoot and tile in the bathrooms.